On September 30, more than 80 people marched outside of Eli Lilly headquarters in Indianapolis to protest the outrageously high cost of insulin. This was the second annual Eli Lilly protest by insulin advocates. 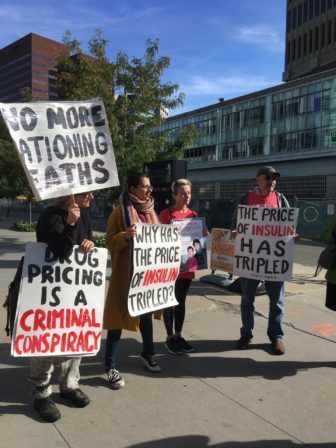 Patient advocate groups T1International and Patients for Affordable Medicines, along with grassroots #insulin4all activists, led the effort (see pictures from the event here). On the same day, Right Care Boston held a teach-in and protest to support the Indianapolis event. Leadership team members first had a knowledge-sharing and strategy discussion at Mass General Hospital, where they brainstormed next steps for the drug price campaign. They also practiced their skit, “As the Drug Price world turns,” which humorously demonstrates how money exchanges hands in the pharmaceutical distribution world. 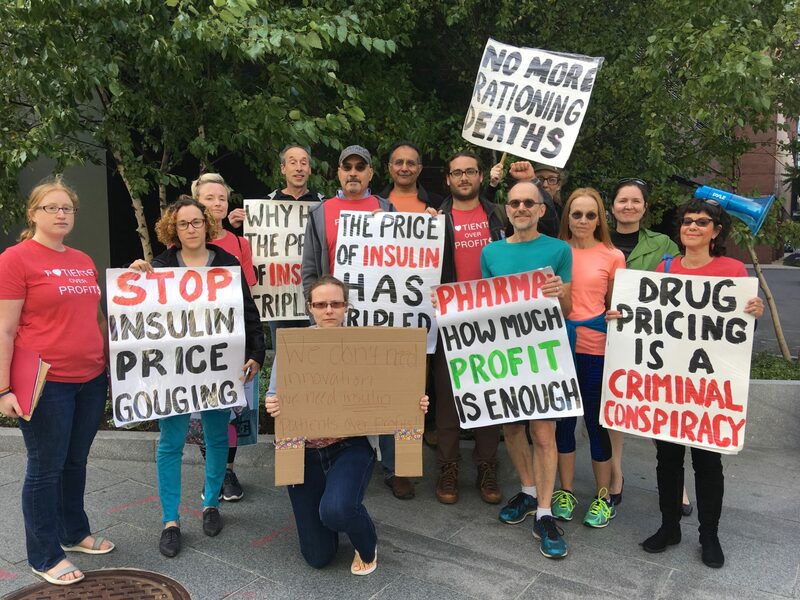 After the teach-in, about 25 RCA members met at Eli Lilly headquarters in Cambridge and led chants, marches, speeches, and stories about why we need affordable insulin NOW. This exciting event helped get members pumped for our upcoming protest at Sanofi Pharmaceuticals on November 16!